The United States Occupational Health and Safety Administration (OSHA) administration is charged with the task of investigating industrial accidents and issuing fines to employers found in violation of safe labor requirements. According to a recent news release from OSHA’s Boston office, a nationwide shipping company has allegedly exposed workers in Massachusetts and across the country to job-related injury and death due to use of defective forklifts. After conducting numerous safety inspections during the past few years, OSHA has determined employer left knowingly dangerous and defective forklifts in service on multiple occasions. In response to its findings, OSHA has filed a report with Occupational Safety and Health Review Commission asking commissioners to require employer to remove all damaged, defective and otherwise unsafe forklifts from their job sites across the nation. 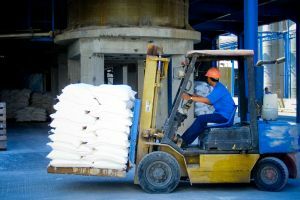 What makes this situation worse is, after speaking with employer’s supervisors and foreman on multiple job sites, OSHA alleges employer was well aware of the dangers these defective forklifts were posing and took no action to correct the problem. As our Boston workers’ compensation attorneys can explain, the normal rule in workers’ compensation is employees are not required to prove negligence on behalf of employers, and employee compensation is limited to past and future medical expenses and time lost from missing work due to injury. In the case of a fatal work accident, employee’s family may be entitled to a death benefits award to compensate the family for wages employee would have earned had employee not been involved in a fatal work-related accident. However, if an employer engaged in conduct so outrageous as to constitute a complete disregard for worker safety, and the employer knew or should have known of these dangers, employees may be able to receive additional compensation from their employer. While this is definitely an exception and the not the normal rule, a showing employer had been specifically warned about this same safety issue on one or more previous occasions may help your attorney make such a case. If OSHA or Massachusetts Department of Industrial Accidents (DIA) has performed an investigation and made findings of repeated occurrences of the same or substantially similar safety violations, these investigation reports can be used to help your attorney prove a case you are entitled to additional compensation above and beyond a standard workers’ compensation award. In addition to special damages for willful and wanton disregard for worker safety, Massachusetts law provides for one-time awards of additional compensation for certain specific injuries. For example, if you suffer an on-the-job injury resulting in permanent scarring or disfigurement to your face or neck, you may be entitled to a lump sum recovery in addition to your standard workers’ compensation award. Other categories of special compensation involve workplace injuries resulting in the loss of a hand, foot or other body part. Every situation is different, as the facts are never the same, and you should speak with your experienced workers’ compensation attorney about your particular Boston work-related accident or illness.